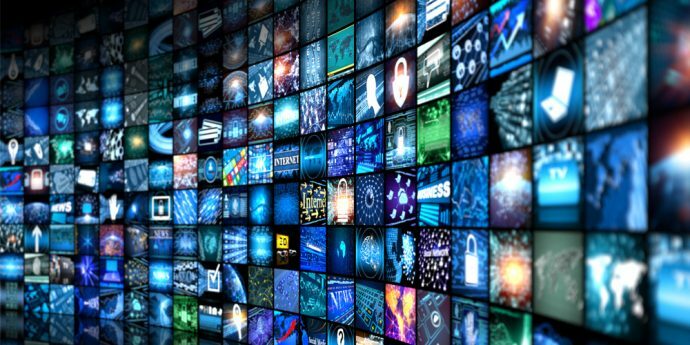 At the National Association of Broadcasters conference, Intel unveiled new solutions that enable content creators to streamline the rich media creation process and move to cloud computing environments. Presenting at a NAB Super Session today, Lynn Comp, vice president of the Data Center Group and general manager of Intel’s Visual Cloud Division, spoke about how major Hollywood studios, production companies and enterprises are applying Intel technology to bring disruptive innovation to traditional models of media creation and delivery and are embracing new market opportunities. The Intel session also featured guest Glenn Gainor, president of Physical Production, Screen Gems Motion Pictures*, Sony Motion Pictures Group*, who discussed how digital technology will dramatically change how movies are shot and edited. Gainor highlighted the collaboration between Intel and Sony Pictures in creating the Spider-Man: Homecoming Virtual Reality Experience that used virtual reality (VR) headsets to let movie fans feel as if they were slinging high above New York City like Spider-Man in pursuit of the bad guys. Dave Ward, CTO of engineering at Cisco*, explained how Cisco uses Intel® architecture to create solutions that support the industry in transforming from serial data interface (SDI) to standards-based solutions. The move toward these types of solutions means customers can create and distribute rich media faster and more economically, leveraging cloud economics. This translates into more efficient delivery of content to consumers. Kim Crawford, vice president of sales at Artesyn Embedded Technologies*, joined Comp on stage to describe how Artesyn is deploying its Intel® Xeon® processor-based media streaming and cloud gaming platform using an edge-focused architecture. Moving to the network edge, closer to the customer, improves application responsiveness and creates a richer experience. Other highlights at the show included news that Intel partner MulticoreWare* is open-sourcing optimized video codecs using Intel® AVX-512 instructions on Intel® Xeon® Scalable processors. MulticoreWare says optimizations via software offer a significant improvement of up to 18 percent in video codec performance on top of the 1.56-times processor improvement using Intel Xeon Scalable Platinum 8160 processors delivering faster compression and decompression of video files and improved video delivery speeds. Intel unveiled a new version of Intel® Media Server Studio (Intel® MSS) and Media SDK for software developers working on rich media workloads. The software development kit contains tools to help content creators deliver major improvements in performance across workloads, including video encoding for cloud gaming, and remote desktop applications. Special effects rendering on an Intel Xeon Scalable processor-based high-performance computing workstation. Artificial intelligence-powered HEVC encoder on an Intel Scalable platform demonstrates the power of machine learning and open source video codec x265 to improve video encoding using Intel Xeon Scalable processors and the Intel AVX-512 instruction set. Ateme’s* cloud media encoder demonstrates 5G encoding using the Intel Xeon Scalable platform for delivering live sports over 5G cost-effectively. Spin Digital’s* Intel Scalable platform-based 16K video player is an industry-first demonstration of 16K video processing for ultra-high resolution content. The core of the video player is an ultra-optimized HEVC/H.265 video decoder. Those who missed the Intel Super Session, can view it and other talks on the NAB 2018 website.